•The Gear Diff. 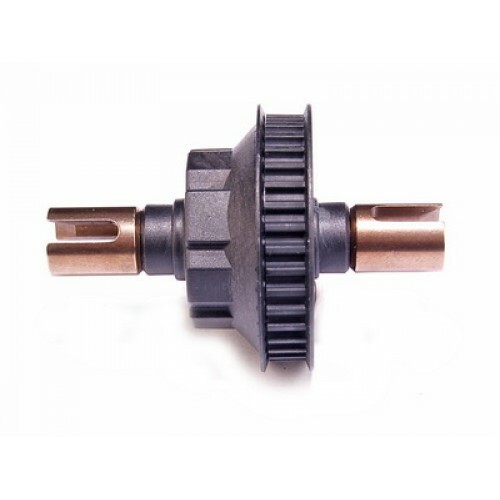 made by light weight plastic housing, nylon gear and Anodized joints. •Full set weight at 26gr only in compact size and also it can be reduce as similar as original Ball Differential. •This is last longer and no need to repair often which provides and enlarges the car much powerful. Most important It keeps unchanged during the race. •Simply change the viscosity of the diff. grease to change the handling characteristics. 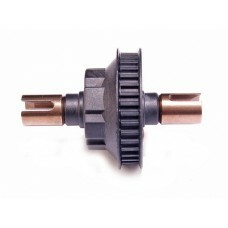 •Compatible for Tamiya TRF416, 416X. •Fit for front and rear. Remark: Gear-Diff Oil does not included, need buy separately.